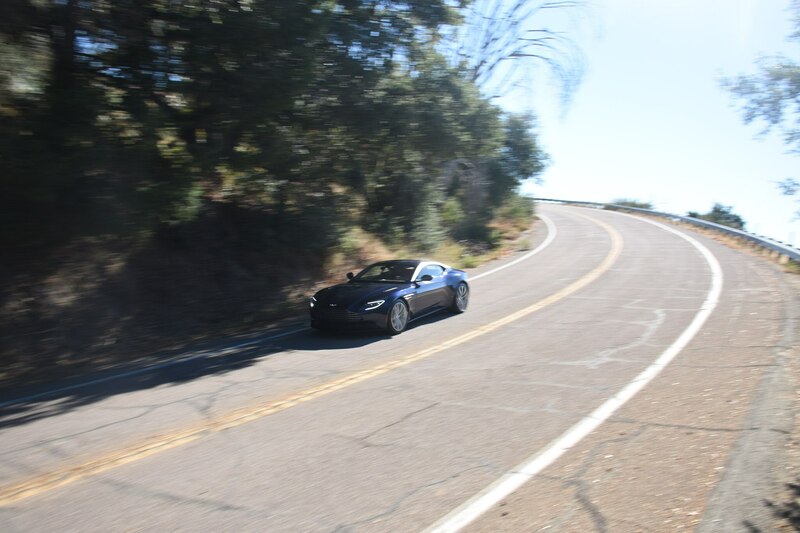 RANCHO VALENCIA, California — Two weeks ago, I said on Twitter that the new Lexus LC500 was the best grand tourer on the market. I said the Japanese had finally bested not only the Germans in terms of luxury, refinement, and power, but also the people who invented grand touring, the Brits. 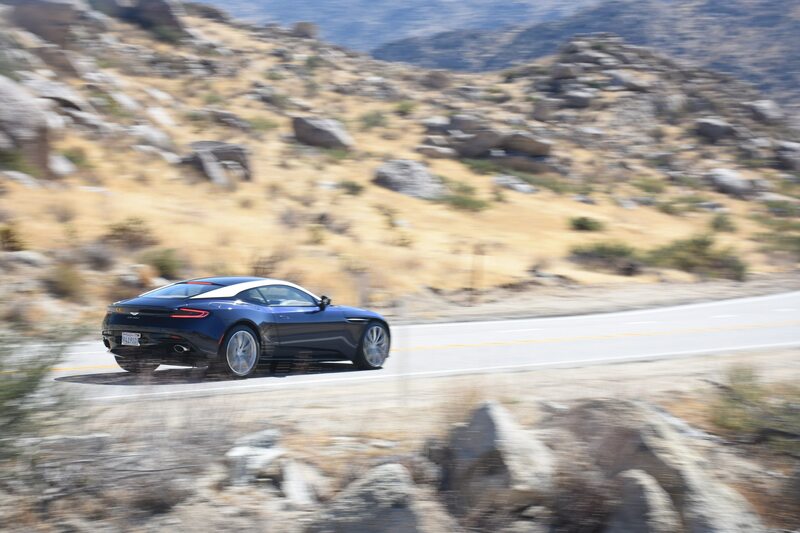 But then I plopped myself into Aston Martin’s V-8-propelled DB11 and discovered it is the very definition of a perfect grand tourer. Sorry, Lexus, but your reign was a short one. 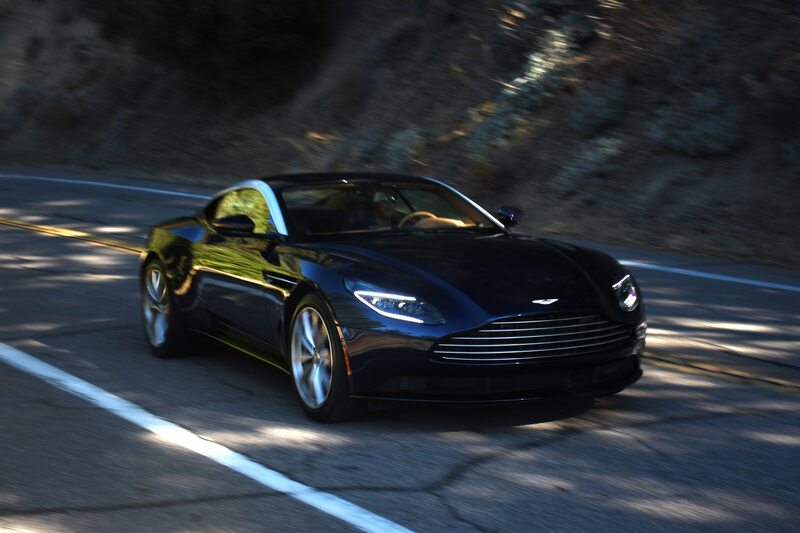 If you think the V-8 DB11 is a cut-rate Aston Martin on par with the woeful Toyota-based Cygnet, think again. 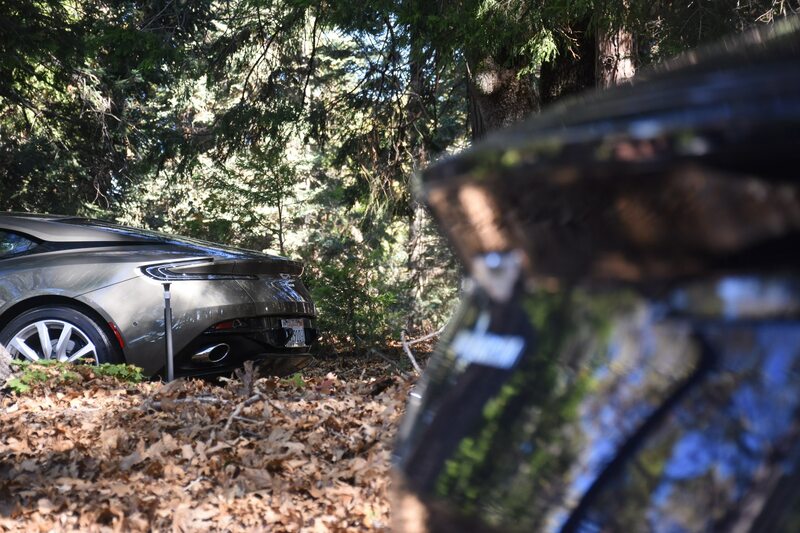 In my recent experience, the DB11 V8 is the one to have. 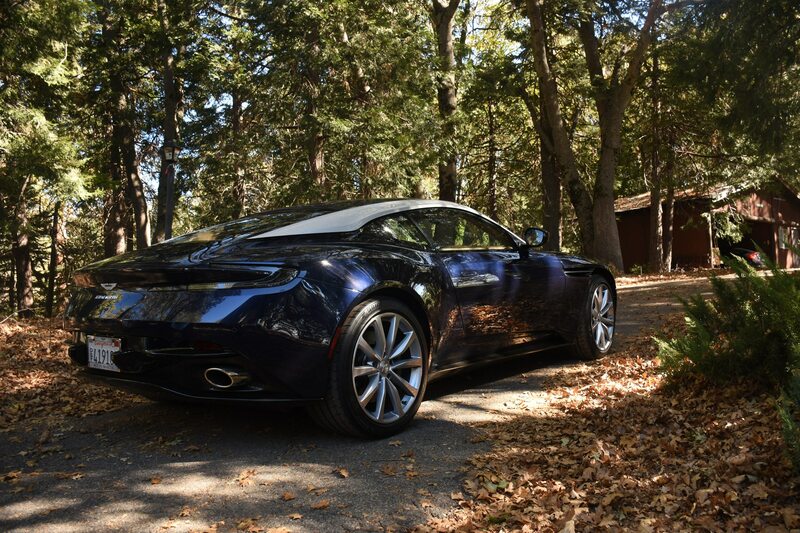 It weighs less than the V-12 version, and some issues we had with the V-12 DB11 are gone. 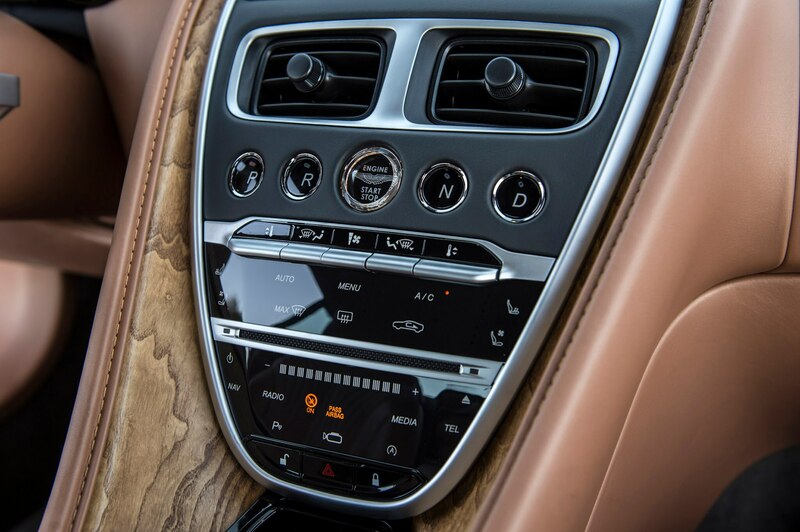 Virtually every piece of the car has been touched, retooled, and refined—except for its truly magnificent and sensual shape. That, thankfully, has been left alone. The engine is certainly the biggest change between the two cars. 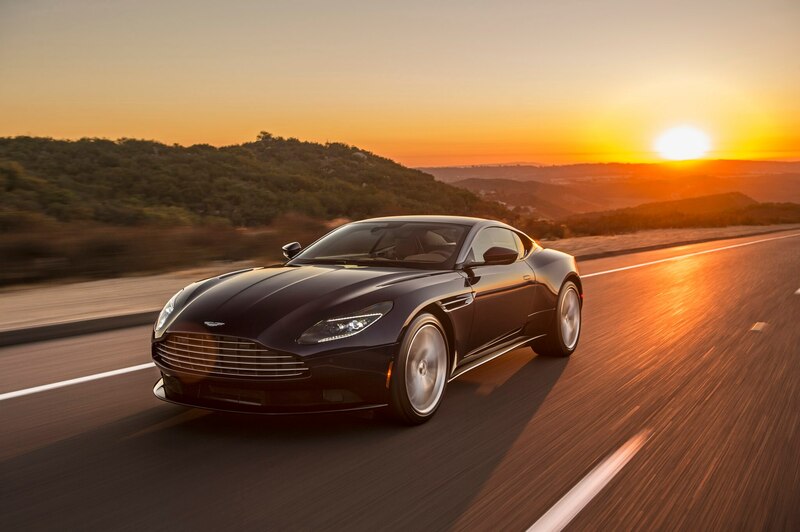 Gone is the Aston Martin-built twin-turbo 5.2-liter V-12, and in its place is a Mercedes-AMG-sourced twin-turbo 4.0-liter V-8 churning out 503 horsepower and 498 lb-ft of torque. It’s slightly different from the 4.0-liter mill found in much of the Mercedes-AMG lineup because it gets different engine management, a wet-sump oil system instead of a dry sump setup, and a few internal amendments. 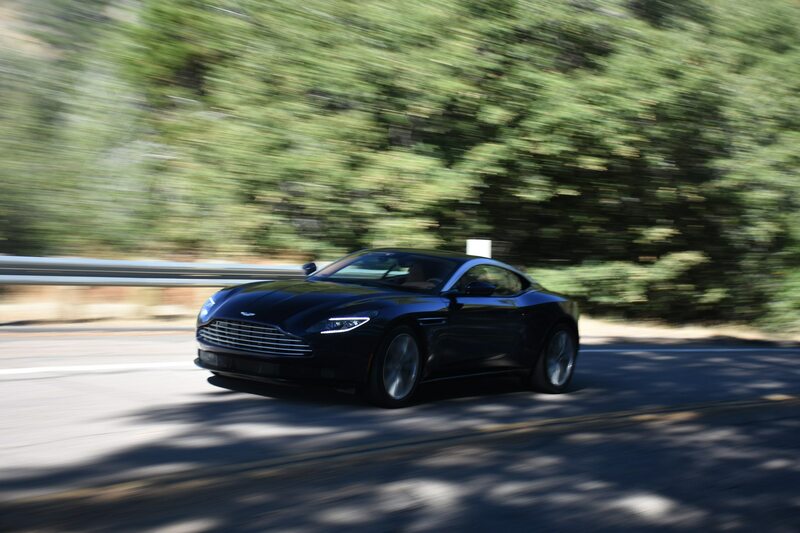 Backing it up is a ZF-sourced eight-speed dual-clutch automatic gearbox sending power to the rear wheels, while noise funnels through a wildly different exhaust with a sound that now befits an Aston Martin. 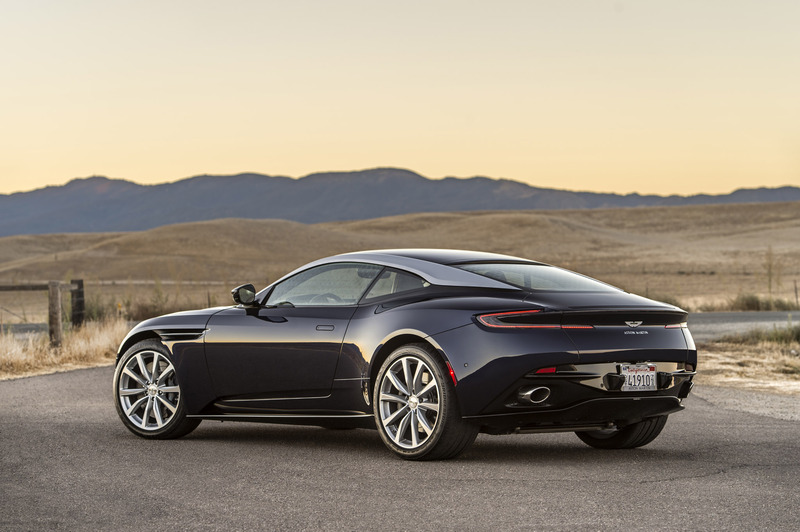 Due to the engine swap, the V-8-powered DB11 sheds almost 230 pounds. 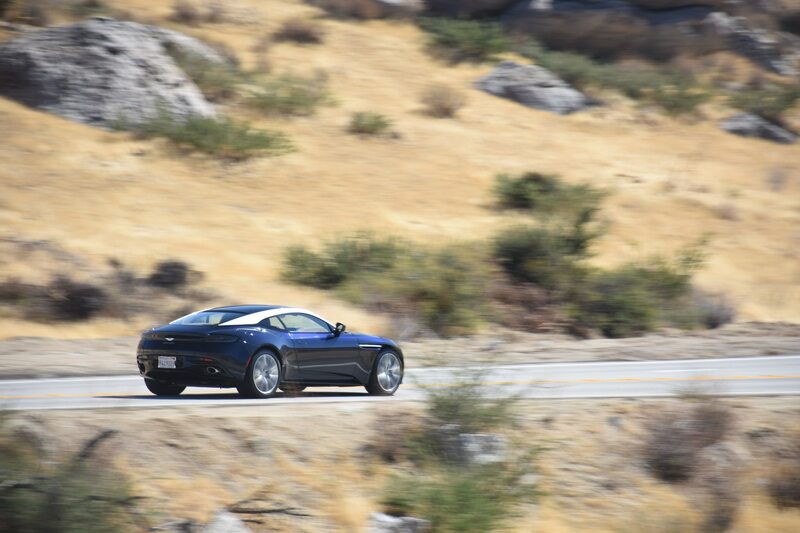 The car’s overall weight distribution changes from the V-12’s 51/49 percent front-to-rear bias to 49/51. 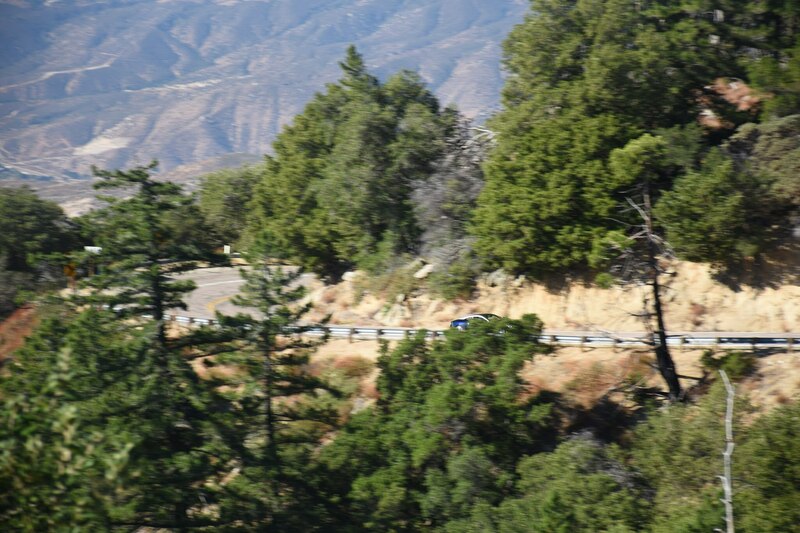 Additionally, due to the half-marlin-sized weight loss, the front and rear suspension is retuned as is the software that controls the car’s driver settings. 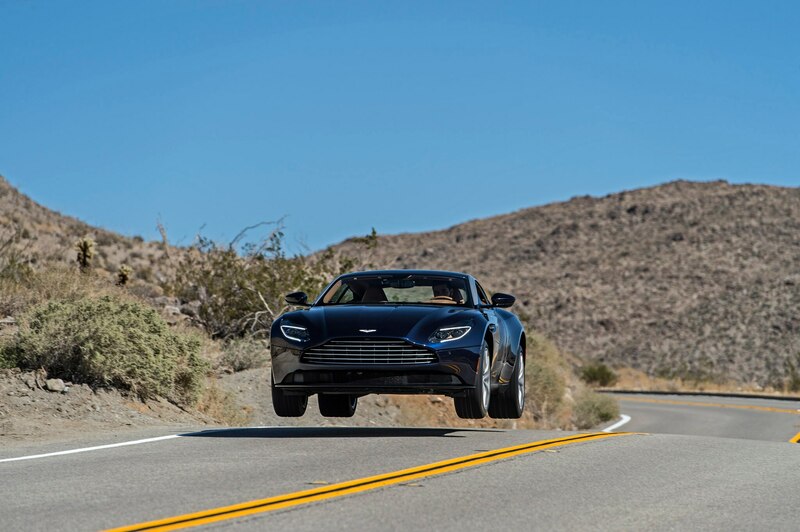 The result is a DB11 that’s nothing short of wonderful. 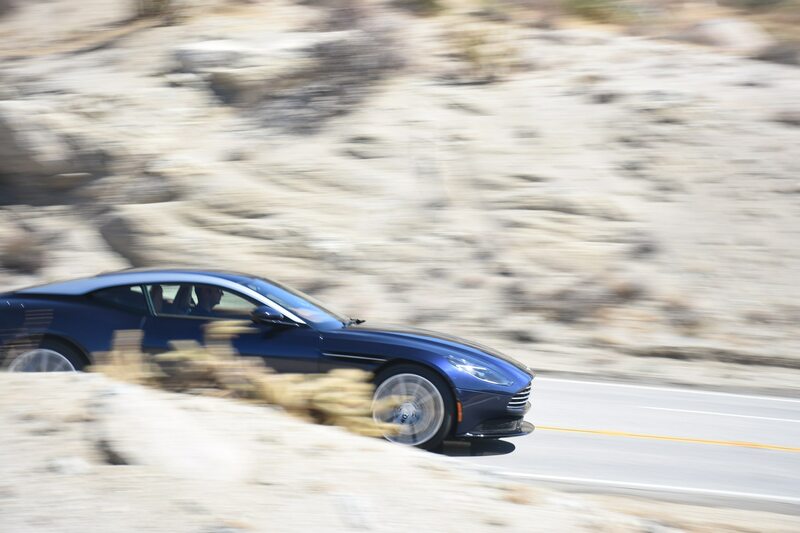 The V-12 DB11 is a good grand tourer, but aspects of its on-road personality don’t always feel settled. Its 600-horsepower twin-turbo V-12 is hugely impressive in a straight line, but the chassis doesn’t feel neutral or confidence inspiring to me. 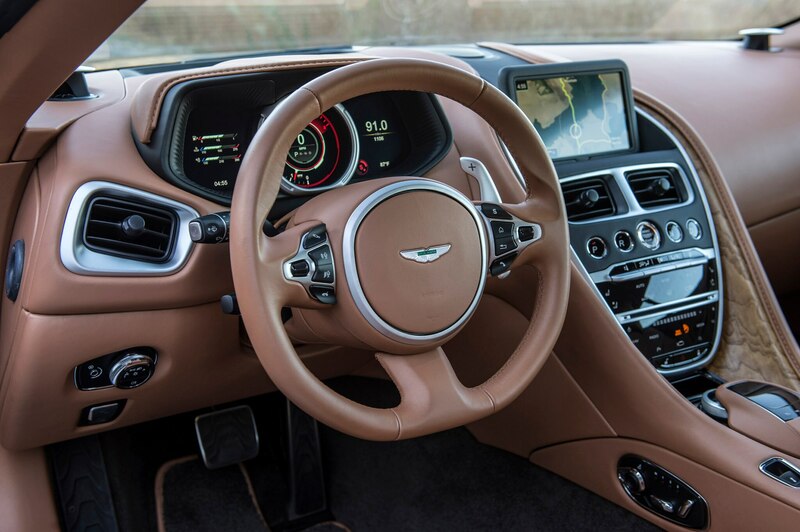 Meanwhile, the transmission felt incongruous with the level of refinement Aston sought to deliver; shifts felt like an old-school single-clutch gearbox, and the paddle-shift actuation itself felt like it took too long. The V-8 model solves those issues, and then some. 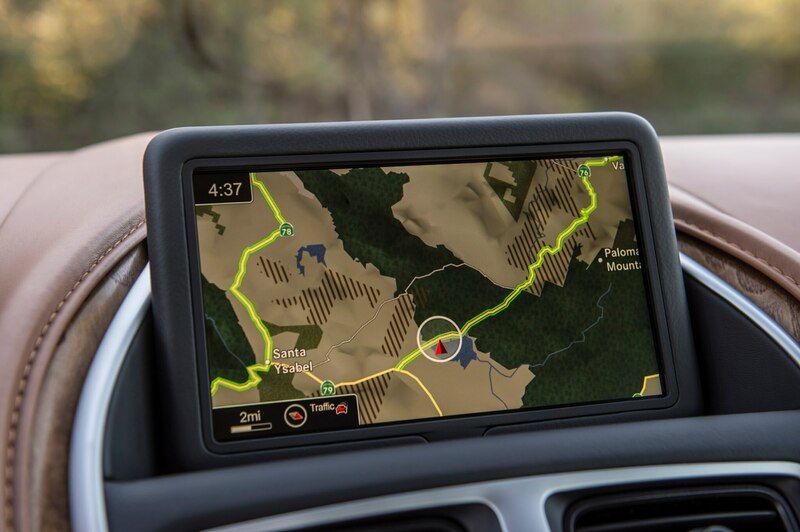 It’s a great grand tourer for a long road trip, and it can also stop at a racetrack along the way and hold its own in terms of performance. 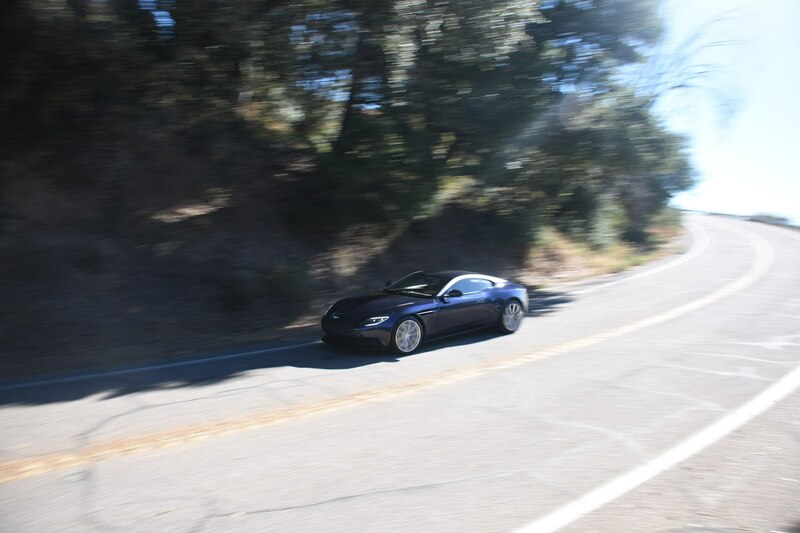 Bombing up Palomar Mountain in Southern California, my introduction to the DB11 V8’s manners made me a believer. 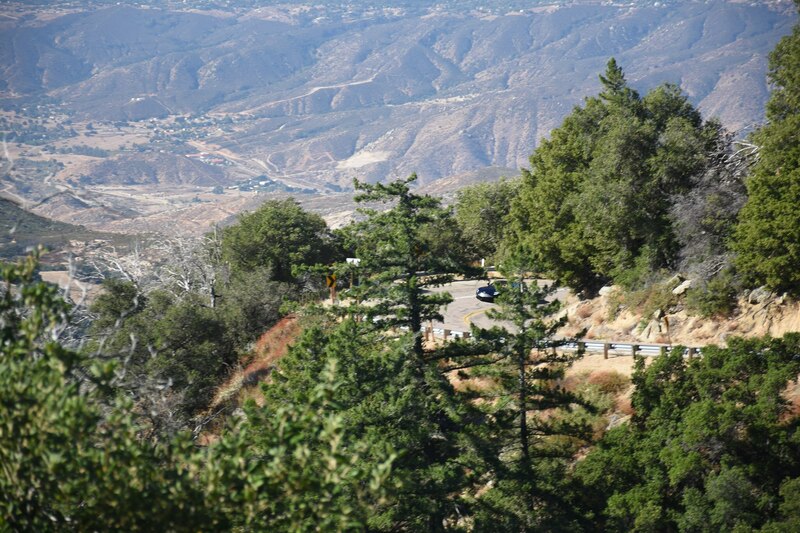 Through the chocolate-toned leather of the steering wheel, the meandering nature of the road ahead transmitted back to my hands with aplomb. 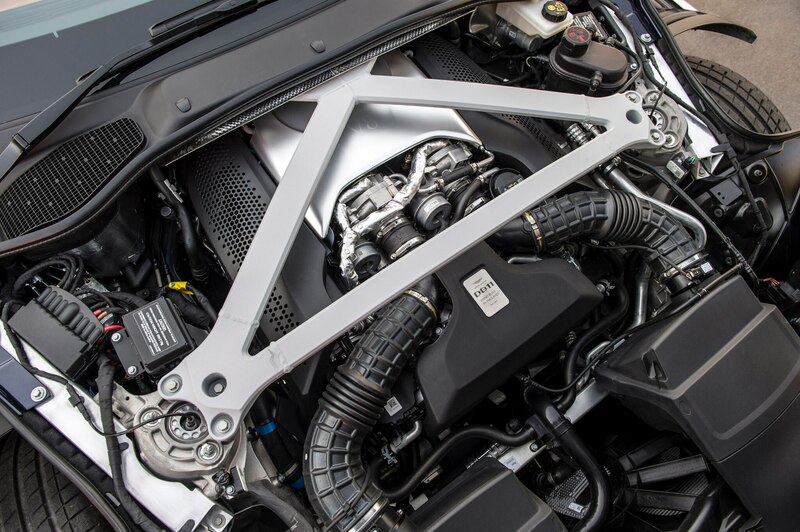 It isn’t as direct or as communicative as Porsche’s best hydraulic-steering units, but it’s a vast improvement from the V-12’s slightly vague nature thanks to the revised suspension, a more rearward center of gravity due to the V-8’s placement in the engine bay, and the 200-plus pounds removed from the car’s nose. 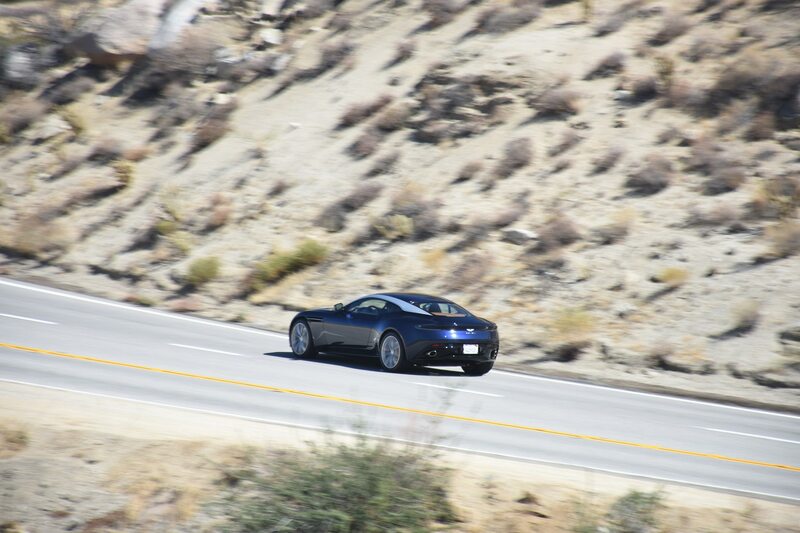 The car is surprisingly agile for one that still weighs just a few pounds less than two tons. 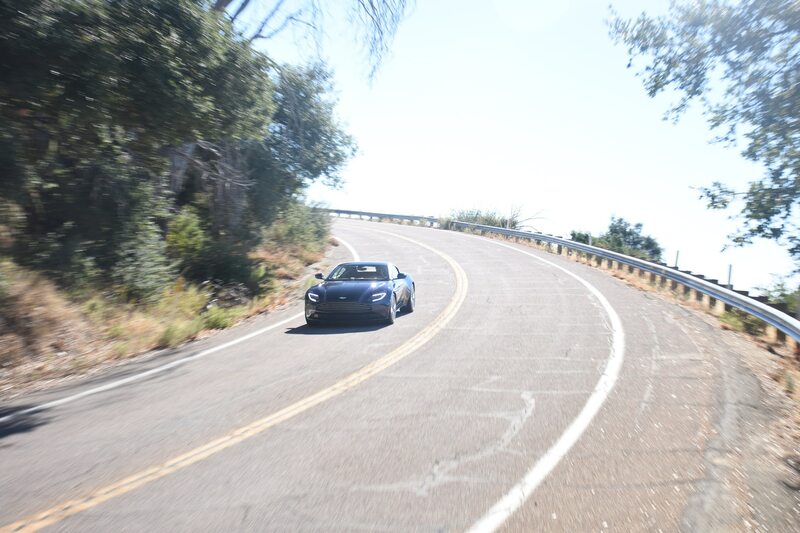 Hustling the V-8 DB11 up the barren mountain road, it almost brought to mind the feeling of an ND-generation Mazda MX-5 Miata. 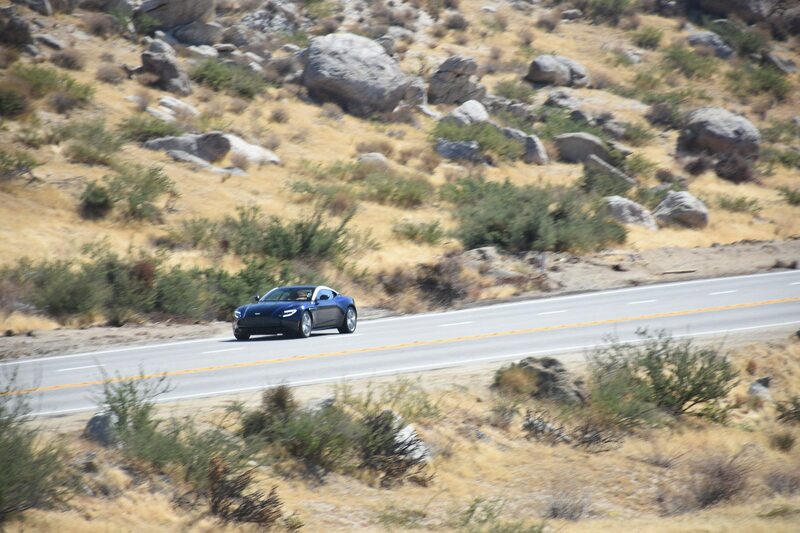 Like the Mazda, there’s a small bit of pitch and heave but a playfulness and capability that you instantly bond with. Mercedes-AMG’s previous-generation naturally aspirated 6.2-liter V-8 sounded the business, with a raw intensity we year for to this day. But now, in an age where displacement is down and the number of turbos is up, engine notes have been somewhat sacrificed. 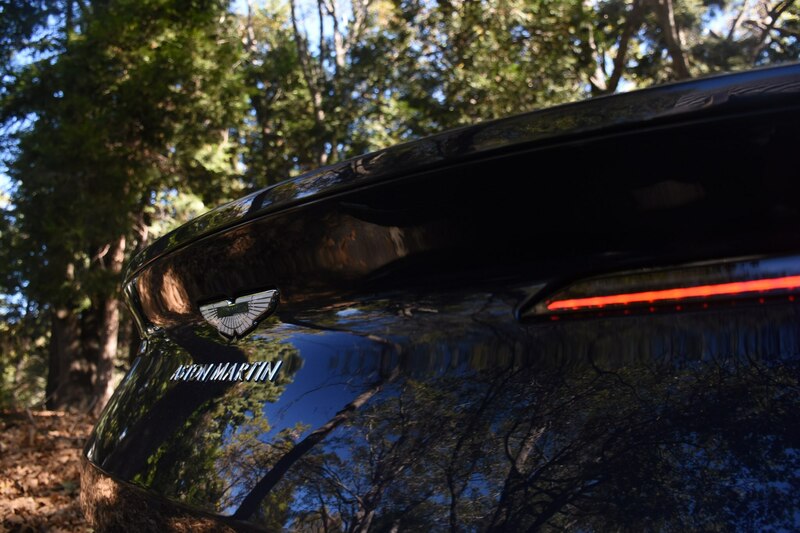 Such is the case with the 4.0-liter twin-turbo V-8 in Mercedes-AMG applications, but that’s not the story with the Aston Martin. This car is meant to be heard. 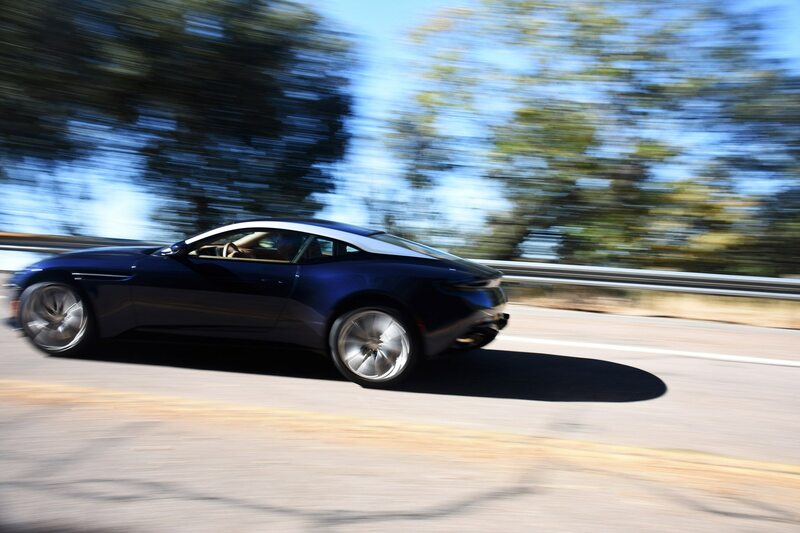 Aston Martin’s engineers knew that one of the main issues many people had with the V-12-powered DB11 was its lack of the signature Aston Martin V-12 wail. It lost part of its character, but that isn’t the case with the Mercedes-AMG V-8. 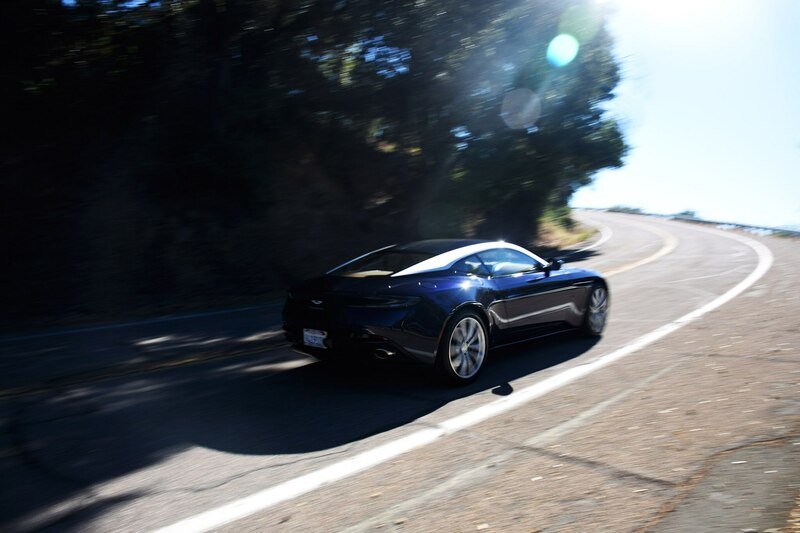 With changes made to the engine’s original design, as well as a unique exhaust, Aston’s engineers made the V-8 sound positively lovely and perfectly suitable for an Aston. 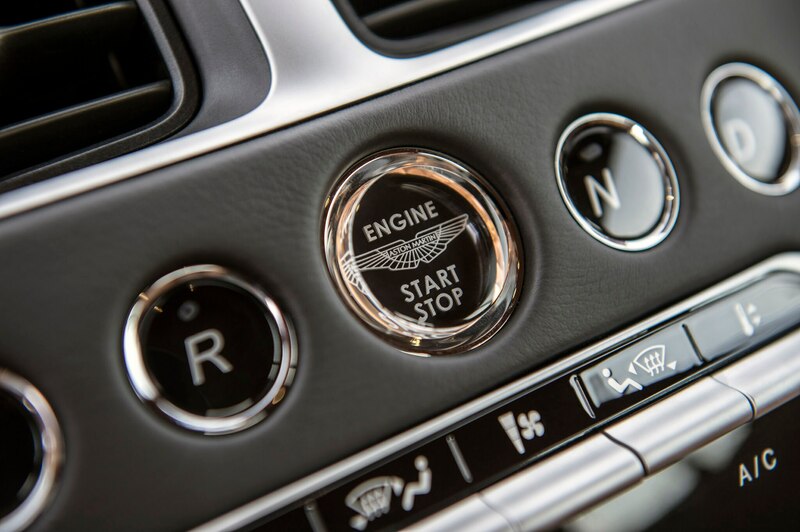 A deep burble greets you on startup, and it isn’t like the normal AMG warble. It’s deeper, more resonant, a sort of “Welcome to the party!” The engine’s throaty V-8 bellow continues until about 4,000 rpm, where it erupts into a glorious yowl that continues until redline. Mercedes-AMG might want to ask Aston Martin how it did this and apply it to every 4.0-liter AMG model. In terms of outright speed, if you’re looking to cross Europe at 200 mph, this isn’t your car. 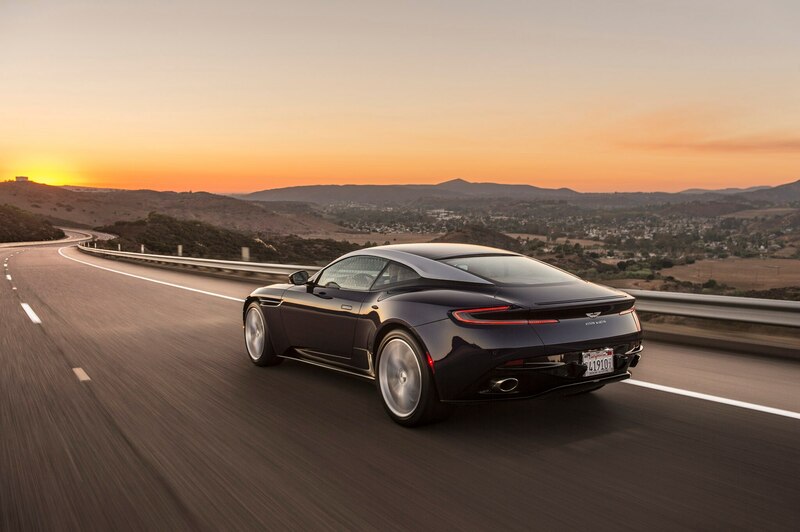 The DB11 V8 is powerful and has the ability to push passengers back in its leather-covered sport seats. It will also beat the Lexus and a few other GT-adjacent automobiles, such as the Corvette Grand Sport and Jaguar F-Type. It needs V-12 power to compete with the new Ferrari Portofino, unfortunately. 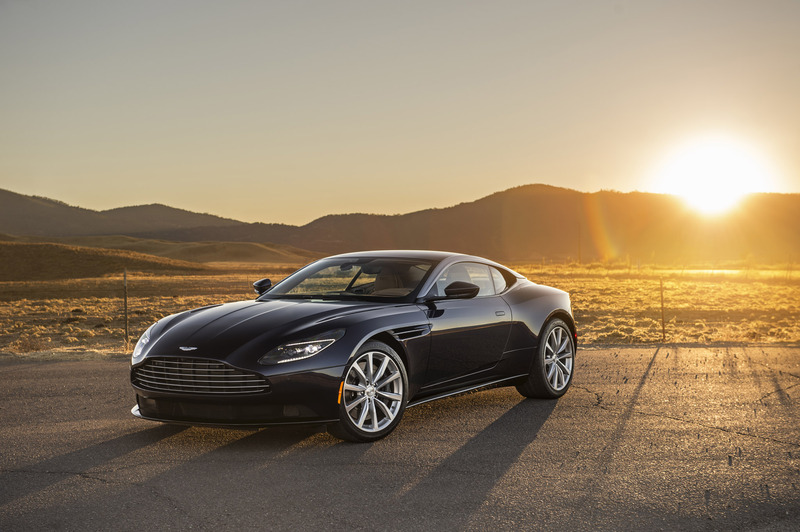 Aston Martin seems to have taken criticisms of the V-12 DB11 to heart, while leaving the best parts of the car absolutely pristine. Both the interior and exterior remain the same. 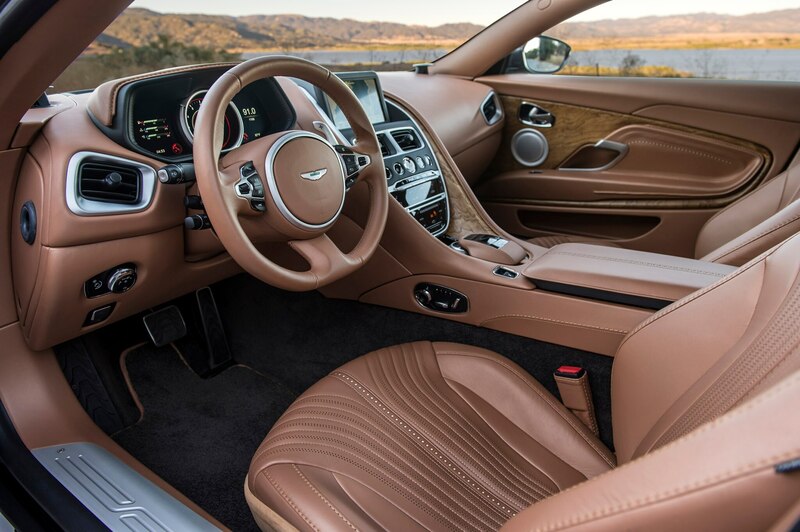 The factory can wrap the interior in a multitude of colored leathers as well as a host of trims that include crushed carbon fiber, real wood, and aluminum. 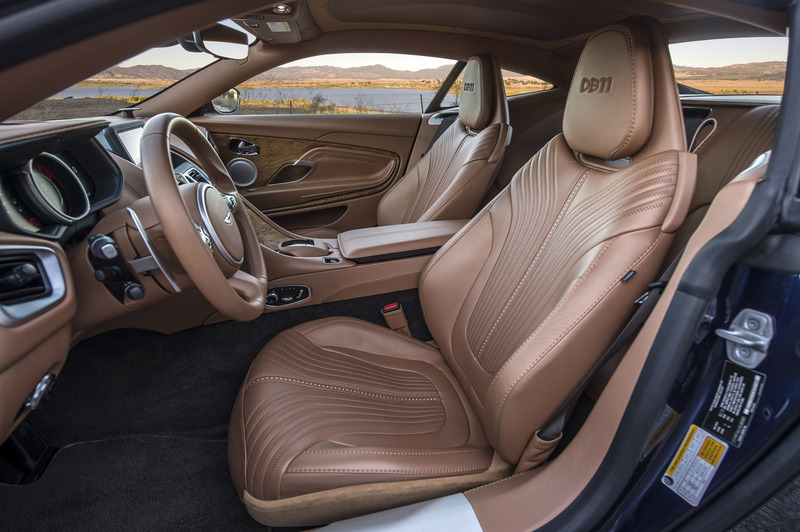 The seats remain beautifully built, with cushions that conform perfectly to your posterior as either you rail the car through a tight switchback or along a long stretch of a motorway. 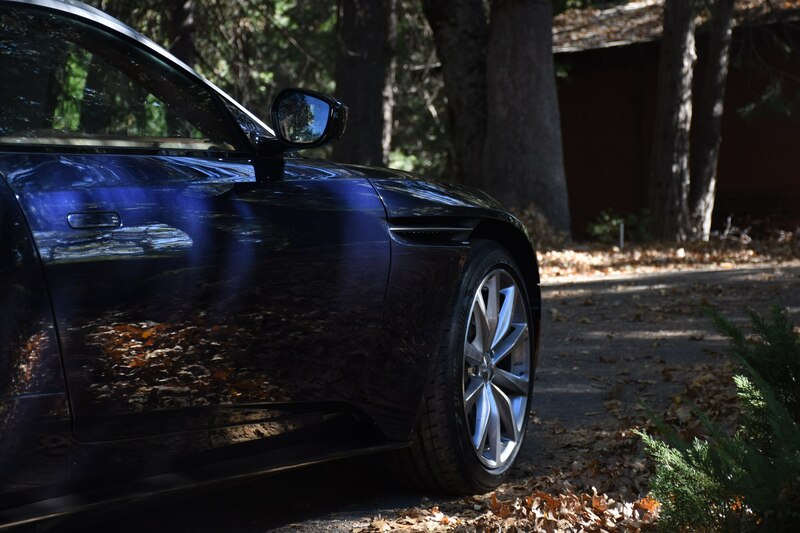 Throughout a day with this DB11, I traveled more than 400 miles. 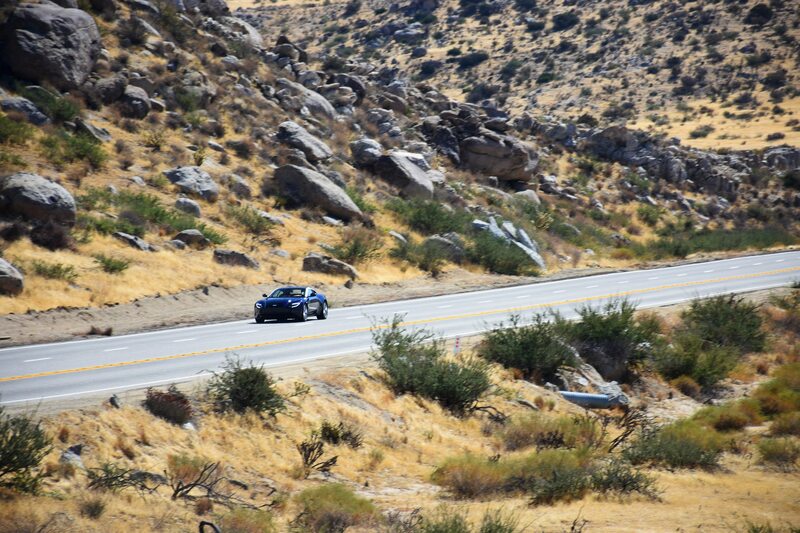 I went along the Pacific Ocean, drove on California’s bustling and always traffic-laden I-5 freeway, gunned to the very top of Palomar Mountain, headed down toward Borrego Springs and across the barren desert wasteland near the Salton Sea, and back through the undulating roads of one of California’s state parks. Through it all, the car grew and grew and grew on me to the point that I considered how much cash I could get for a kidney. 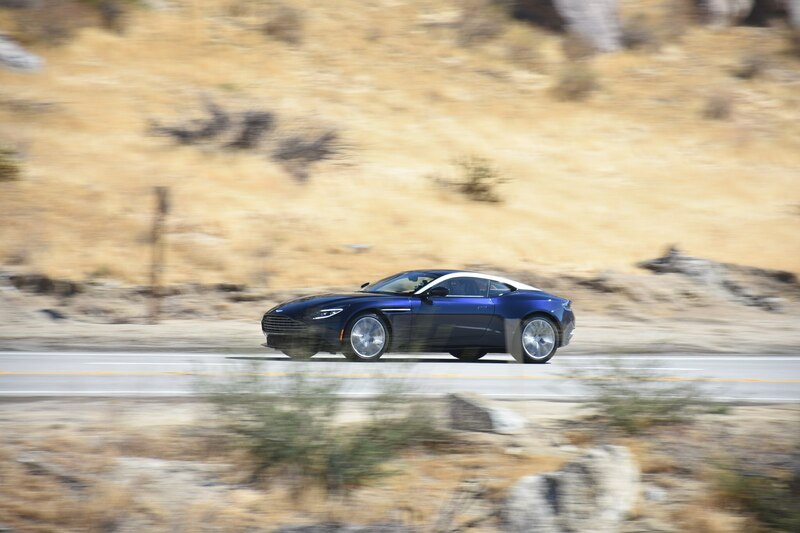 Perhaps this is the car Aston Martin should have built first. If it had, I would not have proclaimed the Lexus LC500 the king. That’s not taking anything away from the LC, as Lexus did an outstanding job with it. 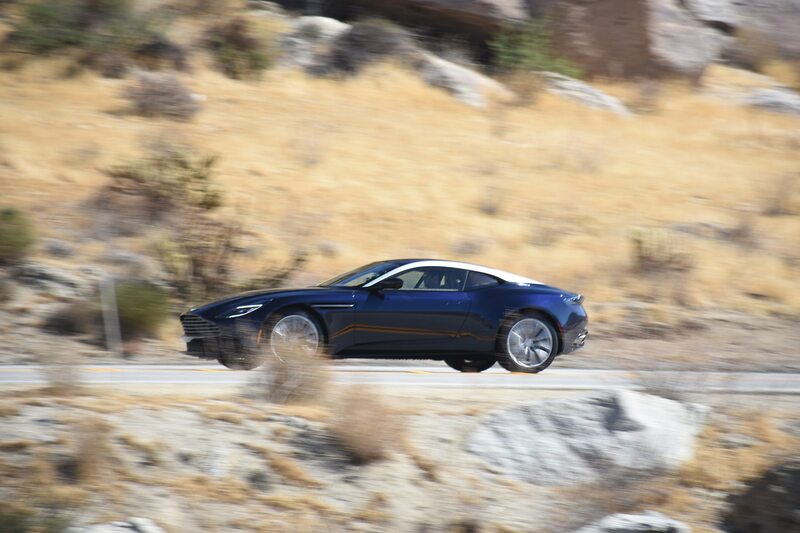 But Aston Martin moved the goalposts with the latest DB11, the perfect GT. 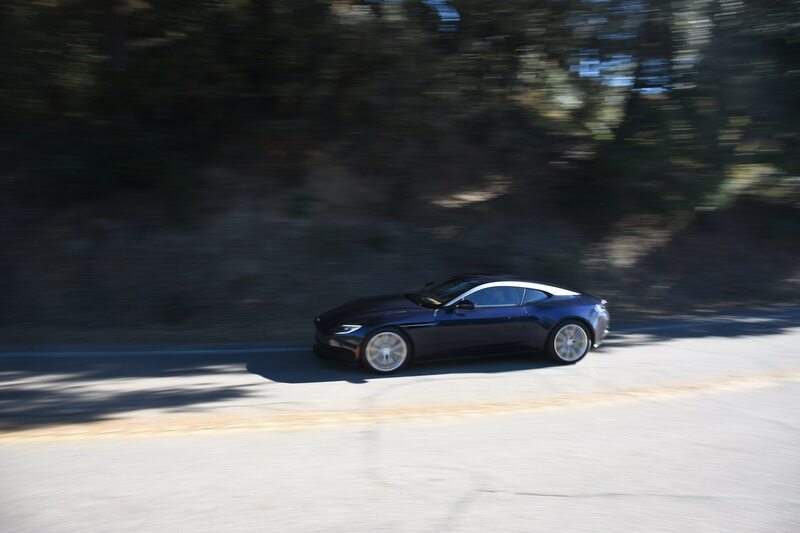 It’s a comfortable cruiser, has the ability to light up canyons and serpentine mountain roads when you feel the need for speed, and has the same type of palatial appointments you’d find in Windsor Castle. I guess I’ll have to retract my tweets.